There have been a few, a very very few, shows about which I can’t be philosophical. Shows that I haven’t gotten over the abrupt cancellation of, and that I doubt I’ll ever see released on DVD. Now and Again has been tied with Cupid (ABC 1998) at the top of my Still Bitter at the Networks Over Their Cancellation list since CBS cancelled the show in 2000. I thought Hell would need to freeze over before I’d see it released on DVD. Break out your ice skates. 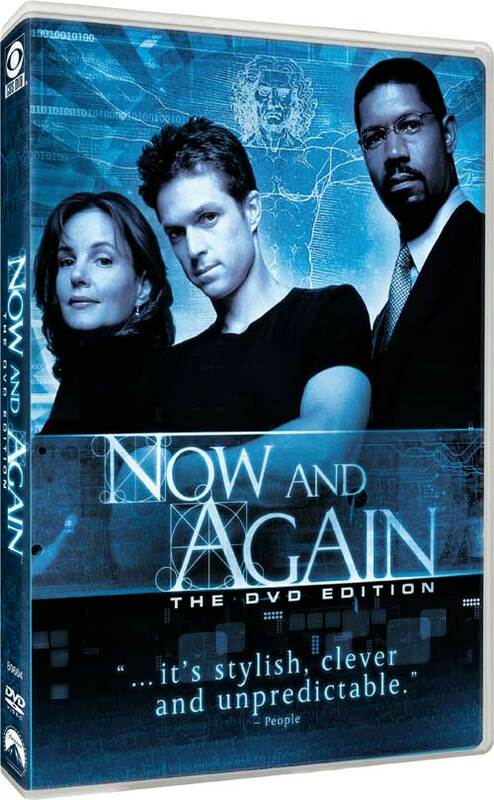 CBS DVD and Paramount Home Entertainment has announced the DVD release of Now and Again for August 26th! Here’s a peek at the cover art. Almost gives me hope for a DVD release of Cupid (1998)… Almost.